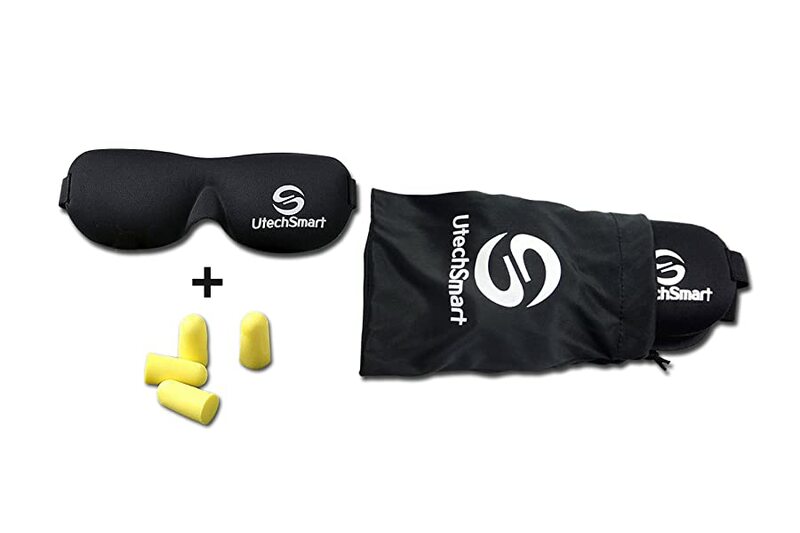 UtechSmart 3D sleep mask is a landmark in the most comfortable, convenient sleep. 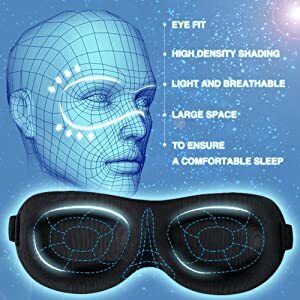 3D Ergonomical Design & NO pressure on Eyes or Nose - The 3D ergonomical design raises nasal bridge and thickens canthus in order to ensure the great comforts of your eyes and nose. 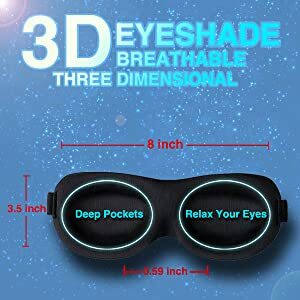 Relax your eyes anywhere anytime in darkness. 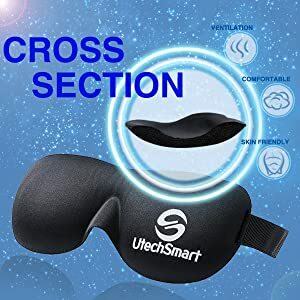 Use super comfortable, ventilation and skin friendly materials - Outer polyester fiber and inner memory foam provide you with super comforts when you sleeping. 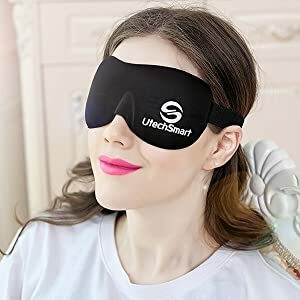 Start a better sleeping and better living with UtechSmart 3D sleep mask. 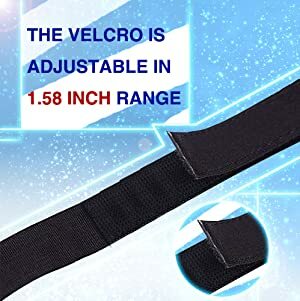 Soft & Adjustable Elastic Velcro - Velcro on the back of head is adjustable in a range of 1.58 inch. It seals well without sticking to your hair. No need to tugging your hair away from the velcro.